Vibram SUPERWORK compounds are the latest Vibram rubber compounds specifically developed for work and safety soles. These compounds meet the requirements of ISO 20345 and similar PPE standards. The two versions are both oil resistant, and non-marking compounds. 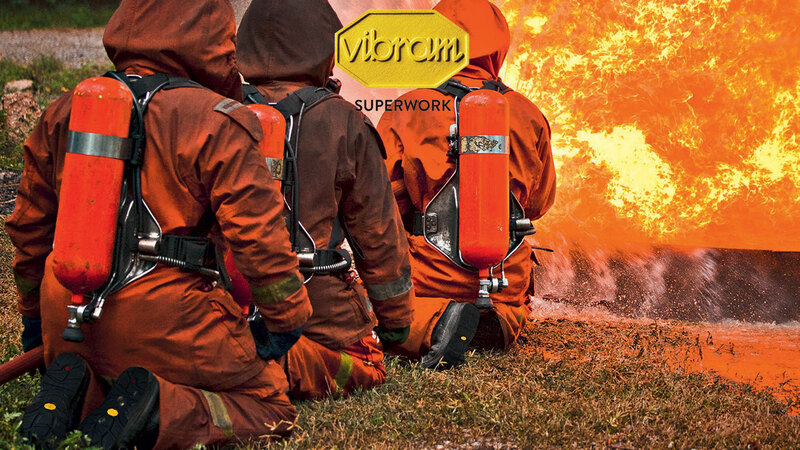 Vibram SUPERWORK sets up new standards in safety rubber compounds. With its superior abrasion (<100 mm3). It offers improved durability as it far exceeds the abrasion requirements of ISO 20345 and similar PPE standards. With a tear strength value 50% higher than those required (>12 kg/cm vs. 8 kg/cm), Vibram SUPERWORK is truly a performance compound. This compound also meets the requirements of EN15090 and HFPA flame resistant standards. Vibram SUPERWORK compounds when used in conjunction with ESR (EH) rated footwear offers secondary protection to the wearer when stepping on a live current.